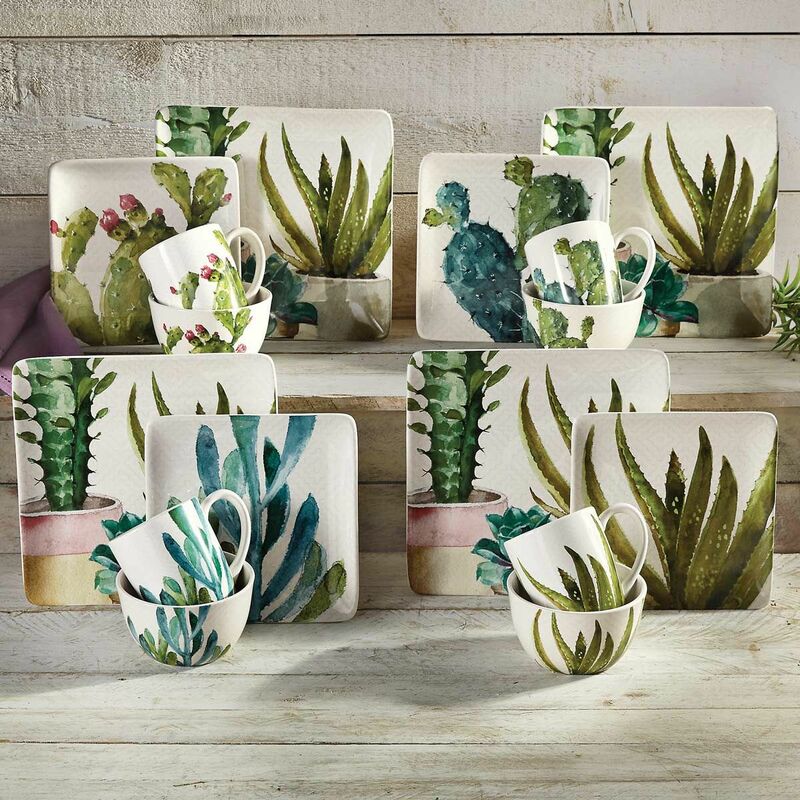 A Black Forest Décor Exclusive - Give your tabletop serene southwest southwest style with watercolor cacti and succulents on these earthenware plates. Dishwasher safe; microwave reheat only. 10 1/2"W x 10 1/2"D x 1"H.